I am hoping and praying that we can send these missionaries the funds they need. Many needy youngsters would benefit from your generosity. Please see the list of unfunded projects below and consider sending a gift today. Young people in the Salesian Province of Central Africa suffer many economic and social hardships. This project seeks to offer positive and upbeat Christian messages through song and music. Young people will sing and create musical compositions for worship in their native languages, and then raise needed funds through distribution of recorded CDs. The Don Bosco Technical School of Dekemhare is a boarding school that trains students in nine trades, houses aspiring Salesians and includes a youth center. The project seeks to purchase, house and feed two additional cows in order to sell milk and help cover expenses, moving toward increased self-sustainability. The Salesians at this extremely impoverished missionary site seek to purchase land near the Don Bosco Children Home to establish a vegetable and livestock farm, which will be used as an agricultural training center and food source for the community. The program will transform the lives of street children by providing shelter, education and agricultural training to help break the cycle of poverty and provide opportunities for financial independence. The Don Bosco Technical Institute is a home and vocational training center for former street children. The center is constantly challenged by a very costly and highly unreliable source of electricity. The installation of a solar power system will provide reliable electricity for the machinery and equipment in classrooms, as well as for the home so students can study in the evening. Salesians in this neglected area saw the need for a youth center to provide education, recreation and spiritual formation for children, as well as a basic residence to house college-aged young adults. The ground floor and first floor of this dual-purpose facility have been funded and completely built; however, funding is needed to complete the second floor and finish the structure, which will serve the community. ($2,110.00) March 8, 2019 – thank you! St. John Bosco Church is in the process of being built to serve the community in the poor village of Ondo. Salesian missionaries were provided local funding to construct the foundation and walls of the church. They just need funding to construct the roof and complete the project so the church can begin serving the community. Total yearly cost = $53,972.00, with partial funding opportunities available. Our Salesian missionaries in the Amazon Rain Forest provide the poor villagers with spiritual support, food and necessities for daily life. Reaching the various villages within the mission site takes days by land and water, and there is a need for funding to continue our life-saving work in this remote region. ($1,800.00) March 15, 2019 – thank you! This project is to construct a chapel for resident students at the Amalarakkini School for the Blind. Currently, the students and teachers need to be transported by hired vans to weekly Mass, which is very costly. Religious services at the school will help in the spiritual formation of the students and staff. The new chapel will also serve the surrounding community. This project is a work-sharing venture. Poor students at this Salesian trade school are in dire need of beds and protective mosquito nets. The goal is to provide raw sheet metal, which the students in the welding shop will use to manufacture 120 bed frames to replace the mats they currently use to sleep on the floor. In this way, the students will share in the success of the project. The Don Bosco Youth Center is a safe, loving home which provides vocational training for vulnerable youth. The sports field was dangerous and unsuitable for athletic activities. The Salesians have raised most of the funds needed to replace the field through local efforts and are seeking help to complete the project. The new field will benefit students and the community. ($1,000.00) March 28, 2019 – thank you! Total cost for one year = $106,714.00, with partial funding opportunities available. Disadvantaged children and young adults attending schools in impoverished areas of India are often unaware of available career opportunities. Many drop out of school to work and support their families. This project will test their aptitudes, provide guidance to discover their interests, and explore career options for successful futures. It will also develop positive self-esteem, confidence and motivation to succeed. This type of intervention program has been successful in a number of schools in other districts and involves interaction between students, parents, teachers and counselors. This Salesian-run shelter is home for 350 village children. The scarcity of water in this drought-prone region forces parents to leave their children here while they migrate in search of reliable work and water sources. Funding is needed to help renovate the facilities and to install a water filtration system to minimize contamination and provide quality drinking water. ($250.00) funded on March 8, 2019 – thank you! ($2,600.00) was funded on February 11, 2019 – thank you! Salesian missionaries in this remote region of India have a difficult time reaching far-away rural villages. A reliable 4-wheel drive vehicle would help missionaries travel the challenging roads and terrain to bring their ministry to people in these distant locales. Total yearly cost = $74,542.00, with partial funding opportunities available. The Salesians’ BEST (Bosco Employability Skills Training) Program helps marginalized college students prepare for long-term careers. By providing comprehensive skills training and offering job placement opportunities, the program seeks to make students career-ready so they can obtain sustainable employment and help build a stronger society. Total project cost = $33,500.00, with partial funding opportunities available. The Salesians of Don Bosco have been assisting at-risk youth and families in this extremely impoverished community since 1982. Over 70% of the population is under the age of 30 and face challenges including lack of education, social problems, substance abuse and more. A comprehensive plan comprised of 4 specific projects has been developed to educate, counsel, train and provide employment opportunities. The Salesians of Kimihurura began their ministry in 1962 and over time the increasing number of Catholics outgrew the existing church. Recently a larger church was constructed to serve more than 3,000 Catholics in the community. Supplemental furniture and a lectern are needed to help with the pastoral services offered. Additionally, a keyboard piano would strengthen the music and liturgical ministry of the church. First, Don Bosco Philosophate in Karunapuram, which trains more than 100 seminarians in religious formation, has limited electricity and regular power outages. Second, Don Bosco High School and Mission in Mariapuram, with nearly 400 students, provides free education, boarding, uniforms and supplies for 30% of its students living in poverty. Solar panels will save $3,400 and $6,000 per year at each site respectively, and savings will be reinvested into each site. Please note: This project can also be managed as two separate funding opportunities of $11,000.00 each. Even if one of these sites receives the solar panels, thousands of dollars would benefit the poor community it serves. The Don Bosco Center is an educational institution in Ramfalbil that serves approximately 786 students between kindergarten and 10th grade, as well as the local parish and community. The Center is in need of a multi-purpose hall for cultural programs, indoor activities, assemblies and community meetings. Please note: Funding for the construction of this project is being requested from multiple sources. Salesian Missions USA is seeking help to construct the roof for this community hall. Don Bosco Technical School provides vocational skills training and job placement assistance in key trades – electrical wiring, welding, tailoring and carpentry. Funding is needed to admit and train 50 at-risk youth, so that they may secure gainful employment and have the chance for a brighter future. ($300.00) November 19, 2018 – thank you! Don Bosco Anbu Illam shelters street children and helps integrate them back into society. The main building poses a health hazard because of the broken sewer pipelines which are in critical need of repair. Additionally, 8 new bathrooms need to be constructed to provide the children with decent and hygienic facilities. Construction of St. Dominic Savio School Complex in St. Jean Bosco Parish began four years ago; two of the three modules have been completed. Work on the third module has stopped due to lack of funds. There is an urgent need for funding to complete the construction. If it is not completed quickly, 1,000 students will face a break in their education with the postponement of their school year. ($5,000.00) June 20, 2018 – thank you! A large number of adults in this area are infected by HIV/AIDS. Many have died, leaving their young children orphaned and abandoned. This project will provide nutrition, support, healthcare and education for 160 orphaned children. The poorest children without guardians will live at the Don Bosco Care Home, and those who can live with extended families will receive the same benefits. ($1,000.00) December 5, 2018 – thank you! ($5,000.00) December 27, 2018 – thank you! ($4,175.00) January 4, 2019 – thank you! ($2,141.00) August 9, 2018 – thank you! ($2,109.45) September 21, 2018 – thank you! ($49,319.55) December 4, 2018 – thank you! An extraordinary gift of $107,140.00 would help educate the children and keep the program running for more than 2 years! In this rural school, students have a very limited amount of sports equipment and the school must rent audio equipment for community and religious events held throughout the year. Providing sports and recreational equipment to students will improve their social skills, and a new sound system will inspire and build community spirit as well. Constructing an Audio Visual Studio at the Don Bosco Youth Center will allow the Salesians to train young people for media-related jobs such as photography, video production, journalism and more. It will also allow them to produce quality media content with a positive message and provide ministry through media. Because of the extreme hot weather conditions, students at this school are at risk of dangerous sun exposure and dehydration which limits their ability to participate in outdoor sports and other activities. A protective roof over an outdoor play area would provide shelter from the extreme elements, allowing students and the community to utilize the area. ($111.00) December 28, 2018 – thank you! There has been a need to construct a residence for ailing missionaries from remote regions of the country. The residence will be used as place to stay when sick missionaries come to the capital city for medical treatments and procedures. Currently, they try to seek accommodations with friends or family. ($3,000.00) June 6, 2018 – thank you! The Don Bosco Technical School is in dire need of an elevator to help the disabled community move around the building with ease. Handicapped students are unable to reside at the school and are forced to commute long distances because dorm rooms are inaccessible to them. An elevator will be of great assistance to physically-challenged students, Salesian missionaries and staff, and elderly community members so they can easily access the various levels of the building to attend classes, Mass and other events. Funding for the final phase of construction of the Corpus Christi Chapel is needed. The basic structure is complete but a roof has to be added. The parishoners are now using the chapel structure but without a roof, they are many times exposed to harsh weather conditions. The intent of this project is to promote and encourage primary school age children (6-11) to read the bible. Using scripture and prayer contained in the bible, these children will hopefully learn positive life lessons and gain a moral, spiritual foundation. 22,000 students in 25 schools will benefit from this project. 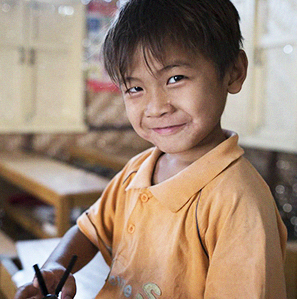 Just $2,030.00 can fund the printing and shipping of 100 bibles to one school. ($10,000.00) March 19, 2019 – thank you! 23 communities in the remote jungles of Peru need a supply of electricity. The most cost effective solution is to purchase and set up solar panel systems. This would provide electricity to the homes of hundreds of families for lighting, cooking equipment and hot water. The electricity would also light the community chapels and improve the Salesian health centers. ($1,518.00) August 16, 2018 – thank you! There is a critical need to build a new parish center to accommodate a larger number of poor youth and families. The center will be used for seminars, educational workshops and recreational activities. A dangerous, polluted canal runs along the community parish property. It carries waste and sewage from a local factory. Young children and families who attend the parish are exposed to noxious fumes and the risk of falling in. Funds are needed to build a concrete slab over the canal to cover it. This will minimize the hazards and also create a new safe and useful space for the parish. ($37,622.80) November 27, 2017 – thank you! Install solar electricity systems to supply electricity to homes and provide street lights. This would replace the cost and dangers of using kerosene lamps – and youngsters will be able to study and do homework in adequate lighting. ($15,000.00) February 25, 2019 – thank you! Khasi-Jaintia Hills District - Meghalaya, India. The Salesian St. Joseph Training Center in Meghalaya is the project coordinator. The Salesian Sisters operate a Catholic school serving over 350 students. Natural disasters and flooding have led to the destruction of the infrastructure and they must rebuild their gymnasium to meet safety requirements. Without the gym, the school can’t offer physical education or open it to extra-curricular activities for students and events for the local community. Rebuilding the gym would serve the students and community, and allow for 100 additional students to attend. Existing vocational school needs to upgrade dated classrooms and expand programs to accomodate more students. There is a real need to offer vocational and life skills to empower poor young women. Construct a new chapel and auditorium for students attending the Don Bosco Institute of Higher Education. Start a 2-week summer camp program for disadvantaged children. Rehabilitate and create a community “green space.” Situated within the historic grounds of a Salesian Monastery, this area will be a family-friendly gathering place for children to play and socialize. The project plans include installing a protective gate, adequate lighting, video cameras and on-site security guards to keep the children safe. Total cost for entire project = $47,305.00 though partial funding would help. Thanks to local funding, a new church was built for this community – but funding ran out for its final completion. The church still needs some lighting and other electric wiring, a new ceiling to replace the temporary one and finishing of the rough concrete floor that is uneven and creates the risk of tripping, especially for the frail and elderly. Please note: Even partial funding for this extraordinary project would be welcome. ($9,900.00) August 27, 2018 – thank you! ($20,000.00) August 27, 2018 – thank you! Total cost for entire project = $47,305.00 though partial funding would be a Godsend. 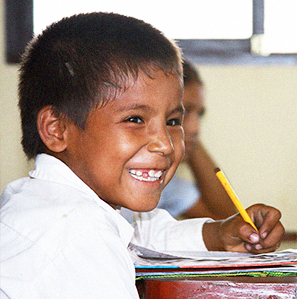 Build a new school to help educate and empower tribal youth. This would be the first formal school building constructed in this remote area. A comprehensive Bible Quiz Book has been compiled to nurture children’s knowledge of the Holy Bible and serve as a life guide. Prepared in their native language of Telugu, 1,000 copies will be distributed to children and adults in need of spiritual renewal. The Salesians in this parish would like to build a new elementary school to replace the existing dilapidated structure, which is a safety hazard for the 300 students. The current structure was built 50 years ago and can no longer accommodate the growing population of children. The tropical weather in Cambodia reaches over 100 degrees, making the outdoor basketball court at the Don Bosco School hazardous and unsafe to use during the day. The Salesian Sisters would like to cover the basketball court with a steel roof to protect students from the sun and excessive heat, allowing a safe place to play during school hours and on weekends. The Don Bosco Home in Kandi houses children who have been abused, abandoned and exploited. They have fled and live on the city streets. The Don Bosco Home provides them with food, shelter and an education. Due to a reduction of local private and government funding, they cannot continue to operate this life-saving facility. Dozens of children are at risk of losing this sanctuary. ($5,000.00) November 5, 2018 – thank you! ($31,429.75) December 4, 2018 – thank you! An extraordinary gift of $142,324.00 would keep the home open and available to the children for more than 2 years! The Salesian Diocesan Center of Arts and Trades (MASC) is a vocational school which lost its back-up electrical system during Hurricane Matthew. This back-up system is essential to the operation of the school due to Haiti’s unreliable electricity supply and frequent blackouts. This project is to restore the electrical system to power the computer lab and classrooms when the city electricity is down. Salesian communities are working in the area to achieve the large agricultural and farming potential of youth and young adults. Improvements in irrigation at five Don Bosco centers will provide clean water and give students and residents improved nutrition, as well as improve agricultural production for increased income generation and self-sufficiency. A Salesian Youth Center and Trade School already exist in this remote area to benefit the children, though there are a large number of other children in outlying villages that need these services. The goal of this project is to expand the existing facilities to allow for more children to participate and learn about the moral principles of Don Bosco and attain a worthy job skill. Funds are needed to transport children, expand the physical structure and increase the staff. A permanent housing structure is also needed to keep the Salesians present on site at all times. ($530.00) April 8, 2019 – thank you! ($40.00) April 12, 2018 – thank you! ($9,792.00) January 31, 2017 – thank you! the following projects have been fully funded. The project will train former students from a Salesian vocational training center in management, operations and the development of a plan to establish a construction business. The Salesians will work to network and connect this new business within the community to help the young entrepreneurs acquire customers. In the meantime, the Salesians will employ them to repair and restore sections of the training center where they actually learned their skills. Don Bosco Rangajan is a center the Salesians have opened to assist the poor, indigenous people who live in a number of simple, remote villages. The center includes a high school and vocational technical training facility. Constructing decent restroom facilities in these villages will help improve health and hygiene, and curb the outbreak of diseases. The Don Bosco Academy of Music and Fine Arts, which is part of the Don Bosco Cultural Center, was founded in 2012 to provide free musical training to disadvantaged students in the district of Kerala. Each year, approximately 100 students train in piano, keyboard, violin, guitar, drums, vocals and more. The Academy is currently in need of a second-hand piano to help more students tune into their musical abilities. This Salesian parish in India is a primary community center that provides support and services to poor young people and their families. This project will offer counseling to young adults, focusing on marriage preparedness and sound life choices. Many pre-school children in the village are left unattended and roam around aimlessly during the day. An Early Childhood Education Center would provide a safe, healthy learning environment for over 100 pre-school children. This project involves renovating 2 existing classrooms and equipping them with age-appropriate furniture, supplies and learning materials to provide a strong foundation for future education. The sports facilities at Don Bosco Roga, a Salesian home for street children, are in need of renovation and repair as children are at risk of injury. The project is for the construction of three sports courts and the acquisition of new sports equipment for the children to play soccer, basketball and volleyball in a safe environment. These evening tutoring centers will assist poor youth with their homework and provide counseling, recreation facilities and evening meals. The hope is that these centers will reduce the school drop-out rate and result in contributing members of society. About 500 children would receive assistance. This project is to start a summer camp for 150 marginalized and at-risk youth. The camp will offer courses that include: introductory education classes for street children who have never attended school, English language classes, including reading and writing, and basic computer skills. The classes will increase their confidence in their ability to learn, as well as aid them in their academic endeavors once they enter formal education. The Salesian Vocational Center provides life skills, job training and employment assistance to high-risk youth. An additional thirty desktop computers will help upgrade their computer lab and provide training to help hundreds of students break the cycle of poverty. This project will provide musical instruments to poor children in our Salesian school to start a band. It is believed that an extra-curricular program in music and entertainment will bring relief and healing from the trauma that exists in the post-Ebola, post-civil war world. The 150 students at this Don Bosco Primary School are dependent upon the Salesians for all of their needs: food, clothing, medical care, shelter, tuition and other fees, etc. Providing school uniforms to those students without would foster a feeling of joy, unity and confidence among all the students. Constructing 4 additional classrooms will provide many more desperately poor children in this community a chance for education and a better life. The more children that attend school, the more likely they are to stay away from the dangers of the streets. The Salesians run a vocational training school for the underserved Adivasi tribal community, which offers education and job placement for 6 popular trades. Additional equipment is needed to accommodate more students, giving them a chance to learn vital job skills, find decent employment and become self-sufficient. A Salesian Center in the Congo provides food, shelter and education for children who are victims of atrocities in a conflict-filled region of the world. The Center owns a large farm which is used to grow food for the community. This project will supplement the program by providing prepared meals for 300 children and supporting the farm, making the Center more self-sustainable in the future. Partial funding received ($44,586.00) November 27, 2017 – thank you! The Salesian church that has served this poor community is in need of extensive repairs. Walls and floors are cracked. Floor tiles are broken and stairs have collapsed creating a dangerous environment for the parishioners. The pillars holding up the main ceiling structure are in terrible condition. A major renovation is necessary to restore the church. The Salesians began building the Mary Help of Christians Church in 2013 and are at 80% completion. All that’s needed to make their dream a reality are pews for the community of 3,000 people, and tiles to cover the walls and floor. This mission in India educates and cares for abandoned or orphaned children, most of whom are physically challenged or disabled. They currently use an unsafe, unreliable and rundown 15+ year old four wheeler to pick up homeless street children and transport children to medical care facilities. They need to acquire a newer, dependable jeep vehicle that can navigate the rough terrain and transport more children safely. Salesians in this remote area of Africa serve a population from many communities. Some outlying villages are a great distance away and most roads are unpaved, making it hard to provide supplies and pastoral activities. An off-road vehicle would also enable Salesians to safely transport youngsters to schools and facilities throughout the province. This Salesian mission includes houses for street children, many of whom have experienced abuse and violence. This project proposes to build a psychological care center where trained educators can help the children work toward emotional healing and well being. Playing sports helps bring unity, friendship and a sense of community to young people. Sports are an important part of the program at the Don Bosco Youth Center because they encourage physical health, build social skills and help keep youth off the streets and away from gangs. To avoid injuries and other dangers, the Center needs to replace old, worn-out equipment and renovate the basketball court, which has become hazardous. This project is to renovate the Good Shepherd Catholic Church in a poor community that serves over 1,860 families, Since its construction in 1956, no updates have been made and it needs many repairs to provide a place fir this large and growing community to worship. Once renovated, the parish community will be responsible for maintenance, repairs and cleaning. Don Bosco Mission School provides educational opportunities for impoverished girls and boys from very poor, remote villages. The school serves more than 750 students in total. There is a very small, outdated computer room to train more than 250 high school students in computer technology. This new lab facility would give students hands-on experience and training to help raise them out of poverty. Don Bosco School at Km16 provides quality education to more than 1,200 students in grades 1-9. The school’s library facility, books, furniture and resources are outdated and inadequate for students and teachers. Once updated, the library can be used to its fullest potential as a center for the entire community. To complete the construction of a small village chapel “Notre Dame de I’Annonciation.” Initial funding has depleted and the chapel is partially built; but stands incomplete, open to the elements. The community is hoping and praying that they will soon have a decent place to gather, pray and celebrate Mass. The poor of this community can contribute furniture and some materials but do not have enough to finish building the structure. Supply funding for Salesian program which helps poor children suffering from HIV/AIDS. The funding will help provide educational courses, medical treatment, medicines and nutritional meals. Parishioners of St. John Bosco’s Parish in Boko are spread out over 29 villages; almost every village has a local chapel. Many chapels are in danger of collapsing and are in urgent need of serious repair. Leaking roofs, ceilings and windows, as well as severely damaged structures make it very difficult and hazardous for the villagers to attend Mass and other community gatherings. An intensive 4-day seminar for Salesians that will help them enhance their missionary service to 25,000 at-risk children in 14 mission sites. A Salesian school, which serves primary and secondary school students, has no electricity. Bringing power to the school’s classrooms and administrative building will expand the hours of operation and enable them to incorporate technology into programs. It will also provide lighting, which they have never had. There is a critical need to build a security wall on the grounds around the Holy Spirit Catholic School. The security wall would help protect the 600+ students and staff from the dangers of the surrounding community. The Saint Pierre Catholic School has been plagued by acts of vandalism and violence, damaging the school property and threatening the safety of its students, faculty and administration. A security wall will help protect the property and the well-being of the 400+ students and staff. Several remote, drought-prone villages need help de-silting wells and canals, constructing pipelines and installing tanks to store clean drinking water. Four Salesian communities in Ghana share the use of one truck for all social and pastoral purposes: child protection, education, youth and parish movements, and healthcare. Currently, the truck is inoperable. A second-hand engine would get it on the road again so that the Salesians can continue to serve their communities. The Katanga province has a very young population — most are uneducated and unemployed. A comprehensive development program is planned with a new Vocational Center that will teach vital job skills. The objective of this project is to provide for the long term: safe water for the students and surrounding community. Recovery from the civil war and a deadly Ebola epidemic requires solving the problems of poverty and illiteracy; the education of youth is critical to long-lasting peace and progress. This project will enable the Salesian school to build and equip a new science lab and expand courses to accomodate more students. The Don Bosco Youth Center empowers poor and marginaized youth by providing secondary and vocational education. Their current water system is old and collapsing. A new borehole, pump, piping, and tanks are needed to provide a sufficient, clean water supply. In a world where computer literacy equals the way to knowledge and job opportunities, more than 1,200 at-risk children are left behind. The Salesian Educational Center that serves this impoverished community is using outdated, deficient computers donated over 15 years ago. The government will not give this facility any funding. Twelve (12) new computers are needed to upgrade the computer lab. This facility is already operating several “Medical Assistance Booths,” which have provided medical assistance and intervention to over 22,000 children to date, including nutritious meals, awareness campaigns, specialized care, surgeries, and follow up. The goal of this project is to expand these services to at least 800 more children each year. Partially funded for 1 year: $12,149.00 Thank you! The number of parishioners attending services, sacraments, and social events at Mary Help of Christians Church has increased tremendously. Many stand outside the church during services because there is no more room inside. The church building needs to be expanded and a damaged compound wall has to be replaced. The people in this village began renovating their beloved church, but have run out of funds. There are holes in the roof, the floor needs to be replaced, and the walls are rotting. Parishioners are praying and worshipping in an unsafe, shabby structure. Please note: The village will be celebrating its 75th year of existence. The villagers are hoping and praying that a new church can be ready for their special celebration. Computer training and education can provide a way out of poverty for youth from the lowest strata of society. Don Bosco Academy would like to create a computer training center for local marginalized youngsters. With the skills acquired, students will be prepared to enter the competitive job market. The Don Bosco Youth Center in this impoverished area is a positive gathering place for many troubled youth. The center would like to set up a new program that offers counseling workshops, seminars and educational literature that addresses the multitude of challenges these young people encounter every day. The program would focus on life skills training and the avoidance of high risk behavior such as substance abuse and gang participation. The project plan is to enroll 2,500 at-risk youth. This project will improve conditions at a home for 200 rescued street and working children — double the number it was originally built to serve. Bathroom facilities at the center are old and dilapidated, and unable to meet the demands of the number of inhabitants. Proper sanitation facilities and education on personal hygiene will promote a healthy environment for children and staff, and decrease the likelihood of disease. The Kansebula Training Institute of Saint-Jean Bosco offers formal education, including trade skills and spiritual growth. Students attending this school live in scattered, isolated villages, many of which are miles away. The best form of transportation in this undeveloped rural area is a bicycle. 50 students are in need of bicycles to get to school each day and run errands for their families. A medical van is needed to drive to remote villages to treat sick children and family members. It would also be used as an ambulance to transport the sick to a hospital that is over 100 miles away. In this undeveloped region malaria, malnutrition and especially snake bites are prevalent. The Salesians in this community want to offer young people another skill set to enrich their lives and to hopefully inspire them and give them some joy. By supplying musical instruments and the lessons needed to play them, the Salesian vision is to create a school band that will encourage, motivate – and lift the spirit of the entire community. A complete set of several instruments such as drums, trumpets, bass, etc. to assemble a band and give these poor children the gift of music. Total cost = $5,840.00. Even partial funding of 2 instruments would be a welcome start - for example, $1,000.00 would supply a 6-piece drum set and $320.00 would enable the band to buy a trombone. Thanks to local funding and the generosity of good people like you, new water tanks and all the necessary plumbing were installed at two Salesian vocational schools. This provided accessible clean water to the students and staff at these remote, isolated locations. In the past, they had to walk a long distance to carry water back to the schools. Due to the growing population of students, the schools now need an additional water tank and an upgrade to the water filtration system. The current school classrooms consist of dilapidated sheds. A new structure is needed that would provide decent space for 8 classrooms. The Don Bosco Home for Troubled Youth needs to renovate a dilapidated part of the building to add a storage area. They also need to repair their basketball court/recreation area. At present, these sections of the home pose a safety risk to the youth using the facilities. Complete construction of a youth hostel that will provide dormitories for students who have a lengthy and arduous journey to school each day. Finish the construction of a new wing to the Don Bosco Vocational Training Center. The wing will consist of offices for 17 staff members and classrooms for 186 students. Students will be able to receive more job training courses such as carpentry, plumbing and tailoring. 10 new classrooms need desks, chairs, benches and blackboards. A chapel used by Salesian Seminarians needs a new roof and other major repairs. Salesian School needs funds to continue providing various educational classes to poor, troubled teenagers. Provide coaching classes for drop-outs at the Don Bosco Youth Center. Students are provided lunch every day. The food preparation kitchen is inadequate and unsanitary. A proper kitchen is needed where lunches can be prepared. Build 8 new classrooms and refurbish old classrooms to accomodate more needy children. 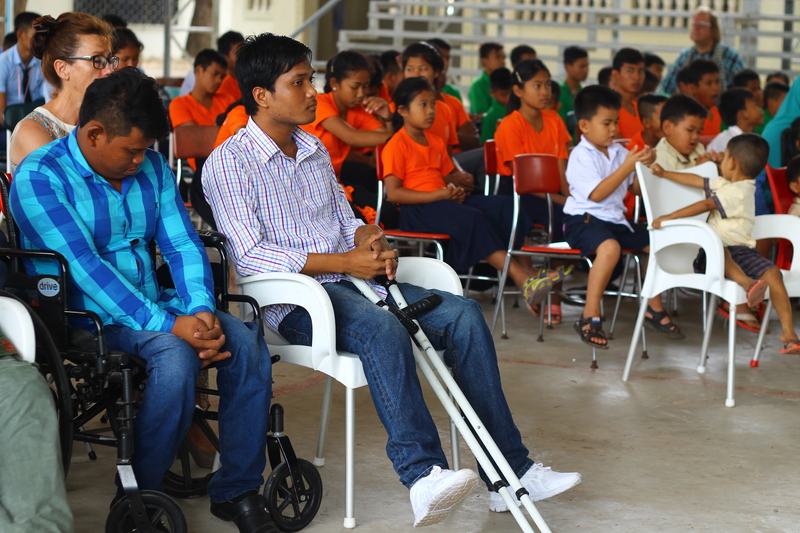 Provide wheelchairs and elevator for handicapped students. Young children are trying to learn in a small, crammed room. There is a need to build an additional classroom to accomodate the children. Construction of a chapel has started in a new area of a Salesian-run Refugee Camp. Families and children are sitting on a dirt floor during Mass and the roof is still open to the elements. Funding is needed to complete the Chapel. Provide acoustic piano for Salesian Music Academy – to offer advanced vocal music courses to promising youth. Build new bathrooms in Salesian Youth Center. Toilets, sinks and a sewage system are to be installed for the youngsters who use the center everyday. Village school needs benches and desks for classrooms and scholarship assistance for impoverished students. Refurbish classrooms that are old and worn. Complete construction of new schools and recruit and train teachers.